Manta rays (Manta alfredi) can be seen around Lady Elliot Island all year round but the numbers are higher in autumn and winter. Why this is the case is not really understood. The interactions between the environment and manta ray behaviours were examined in this study. Jaine and colleagues suggest that the peak numbers of manta rays foraging in winter coincides with a higher level of food (manta rays forage for plankton) availability. Foraging peaked when water temperature was between 21°C and 23 °C, as chlorophyll-a concentration increased and 4 hours after the high tide. Tides help to move food up into the areas surrounding Lady Elliot Island. Manta rays also visited “cleaning stations” where they swim very slowly in small circles over a section of reef or bommie so that small fish can forage on their skin and gills to eat parasites and dead tissue (see picture below, from the USA’s National Oceanic and Atmospheric Administration). 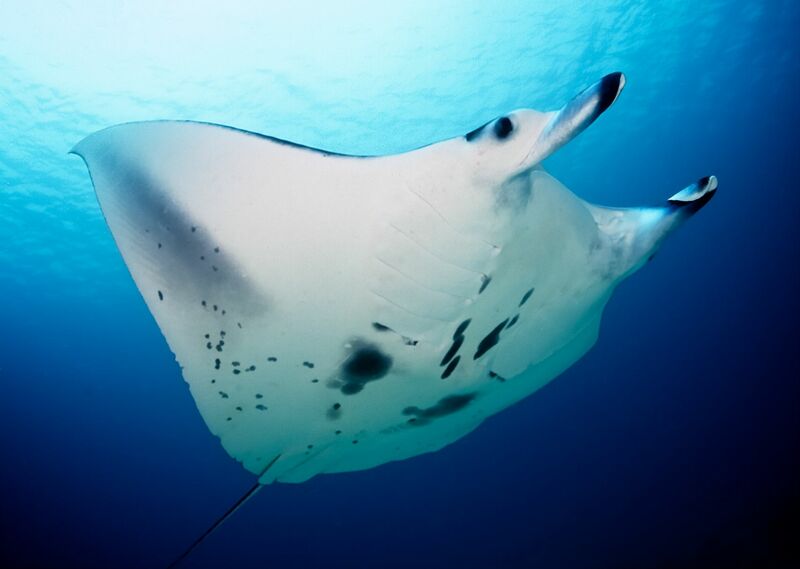 Sightings of manta rays at cleaning stations were decreased in high winds and increased in warmer water temperatures. The environment also impacted to a lesser extent on cruising behaviour with more sightings of manta rays cruising during lower winds, when chlorophyll-a was more concentrated in the water and around the new moon. 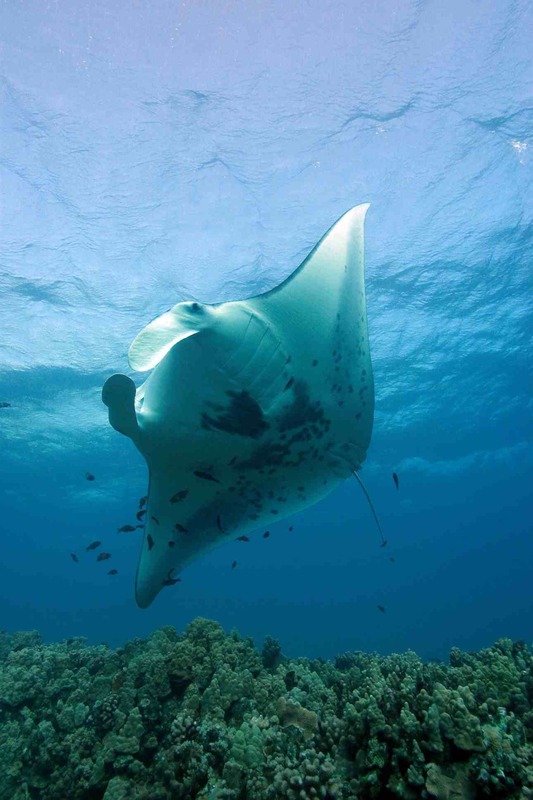 The authors were also able to show that manta rays prefer some areas around Lady Elliot Island for certain behaviours. For example, the Lighthouse Bommie on the west side of the island was a popular cleaning station. As a SCUBA diver who has visited Lady Elliot Island, I have seen manta rays whose wings spanned around two metres, although they can span up to five metres. I wish I had been part of that citizen science project. Manta rays are magnificent animals and a highlight for any diver or snorkeler lucky enough to see them.